The former India pacer believes Pant's fearless approach in pressure situations will come in handy for Team India. 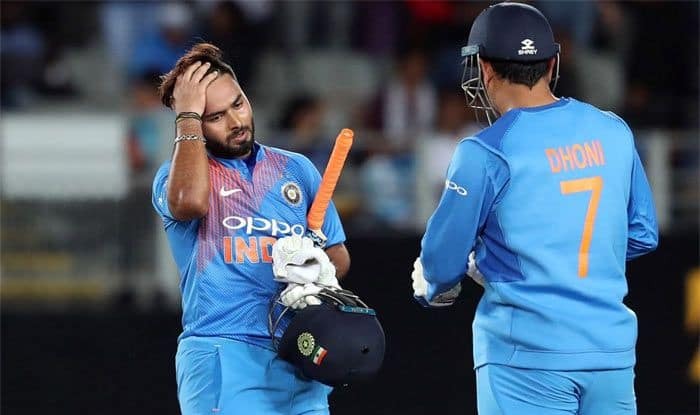 A pure match-winner, a back-up opener and an effortless six-hitter in the class of Rohit Sharma — Rishabh Pant merits selection in India’s World Cup squad and there are more than one reasons for it, feels former pacer Ashish Nehra. Nehra, who has tracked Pant’s progress in Delhi and international cricket since he first joined the Sonnet Club, gave five elaborate reasons for the dynamic youngster’s inclusion in the playing XI of the mega-event. Nehra, a key member of the 2011 World Cup-winning team, feels there are three to four specific reasons to pick Pant. “If you look at India’s batting line up, save Shikhar (Dhawan), there aren’t any left-handers in the top seven. You need variety with a left-right combination, where Rishabh perfectly fits,” he reasoned. The 21-year-old Pant is a left-hander and scored Test hundreds in his first series in England and Australia. “Secondly, Rishabh can bat at any position between Nos 1 to 7 and so Virat (Kohli) and the team management can use him as a floater,” said Nehra, who also played the 2003 World Cup final in South Africa.